It took only five years from Spider-Man’s 1962 comic-book debut before he was awarded his very own Saturday morning cartoon series. 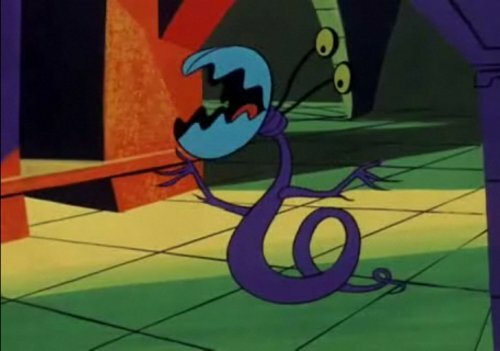 Even if you’ve never seen it, you know the theme song (Is he strong / Listen, bud / He’s got radioactive blood). The first season of Spider-Man was a straightforward adaptation of the comics, with appearances by familiar villains such as the Scorpion, Mysterio and Dr. Octopus. 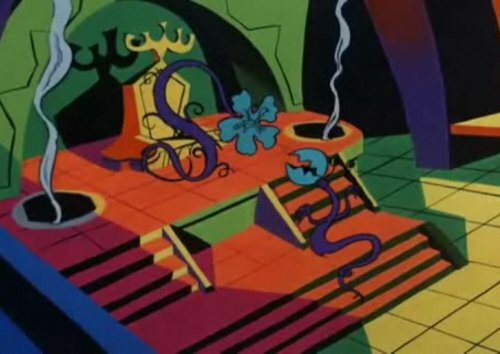 For the second and third seasons, the production was turned over to animator Ralph Bakshi, who later went on to direct feature films including Fritz the Cat, Wizards, The Lord of the Rings and Cool World. The combination of a reduced budget and Bakshi’s penchant for hallucinogenic visuals turned those later episodes into a trippy phantasmagoria. 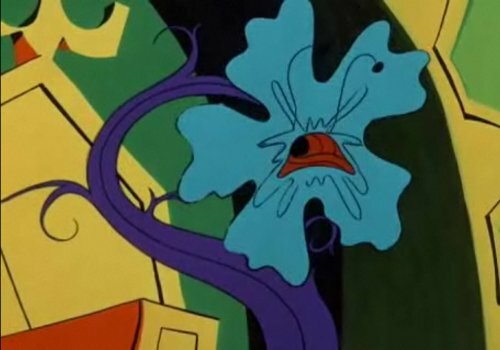 The episode “Vine” saw Peter Parker (Spider-Man’s true identity) accidentally set loose an ever-growing plant monster from a seed pod he discovered in a scientist’s abandoned house. Finding a working time machine, he surmised that the secret to defeating the stupendous stem lay in the past. I really love this little guy, one of Master Vine’s minions. And, thanks to the miracles of budget-cutting, he got to do it all over again the following season in the episode “Rollarama,” a nearly shot-for-shot remake. You can watch both versions (as well as the rest of Spider-Man ’67) on Marvel’s web site!